Choosing the right guitar gear for your playing style, ability and budget can be an absolute minefield. The last thing you want is to spend over the odds on something that doesn't fit the bill or deliver the sound that's in your head. 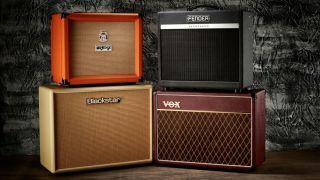 We've tasked our resident guitar gear experts with testing hundreds of guitar products in order to compile an exhaustive series of buying guides, all aimed at helping you make the right choices.